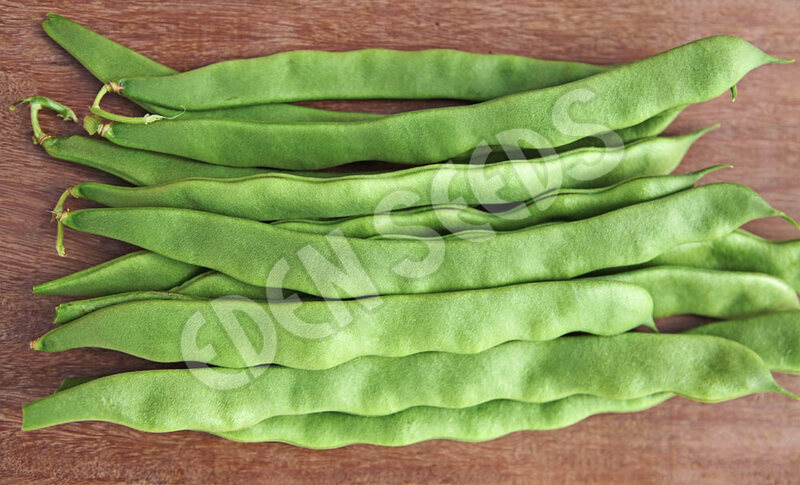 Climbing bean with a flat green pod 25mm wide, 20cm long. Stringless, stays tender for long periods. Popular market variety. 56 days. Read more on growing Bean, Climbing here. 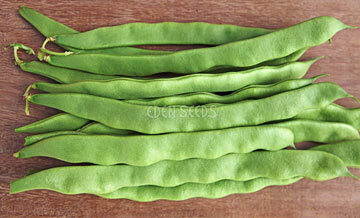 A most popular vegetable. Takes little room, high yielding and nutritious. 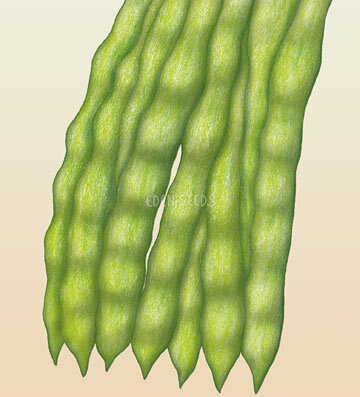 It bears later but longer than bush beans and ensures a continuous supply. Grows well in all soils if not waterlogged. Does best in near neutral conditions. Sow after frost.